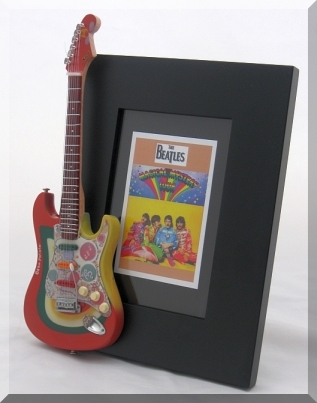 Beautiful handcrafted “Magical Mystery Tour” Beatles Album tribute guitar frame is made in the USA. 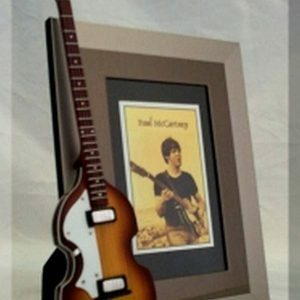 A photo of the Beatles is in the frame. 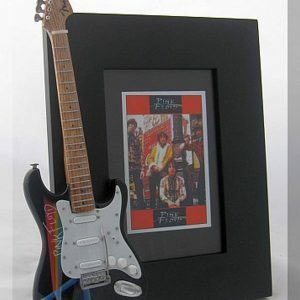 Over 200 combinations of guitar and famous artist are available. 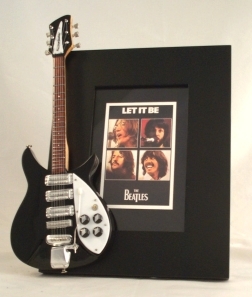 These are some of the most popular. 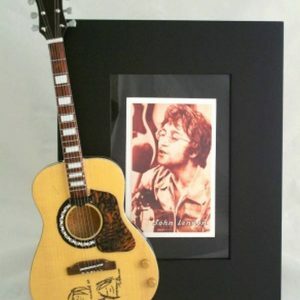 If you have any questions or are interested in another artist/guitar please call for more information and to order. © 2019 Sedona Music Boxes.